Photos taken in August 2013 as part of my Photo-A-Day Project. It is my version of a blog - a visual way of expressing my joy in something that I find beautiful or interesting during the course of each day. Day 239: Sunflower Bud Opening - August 31. Another visit to the sunflower field yesterday. Such a pleasure to be there and surrounded by these cherrful flowers. When I look at my collection of daily posts for this month, I can't believe how quickly the month has gone by. So glad that I have these daily posts to go back and look through over the winter months to remember how much beauty nature offers in each day. 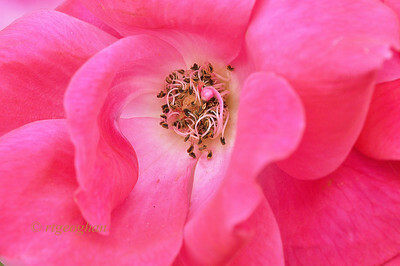 Day 238: Pink Rose Closeup - August 30. Day 237: Painted Daisy- August 29. 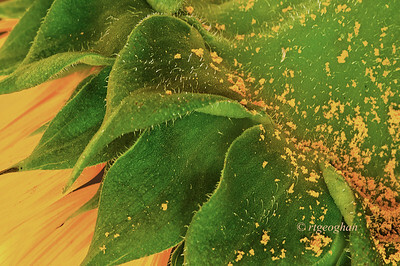 7Day 236: Sunflower Pollen - August 28. 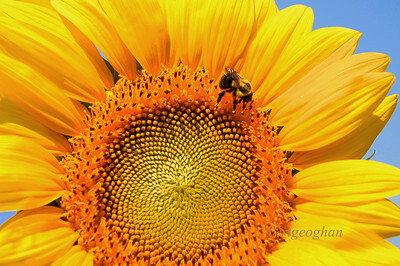 Easy to see why bees and other pollen seekers are attracted to sunflowers. fI'm curious to know how others are making out with the conversion to the new SM. I've spent several hours working on it and just can't seem to get it set up properly. So very frustrated. Day 236: Empire State Building - August 27. 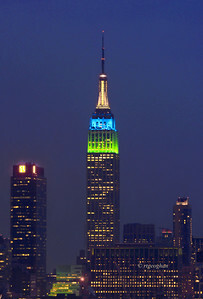 For tennis lovers - Empire State Building Tower Lights last night were for the opening of U.S. Tennis Open. Day 235: Sunflower - August 26 I'm falling behind on my photo uploads and processing. Busy weekend with family visiting. 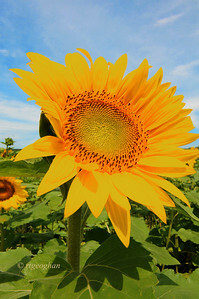 This is a sunflower image taken on Friday at a sunflower field in Sussex County NJ. 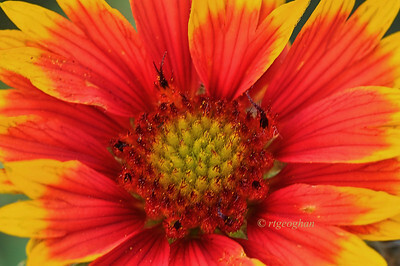 Thanks for all of the comments on my Gerbera image yesterday and to Rick for creating that creative, fun puzzle. 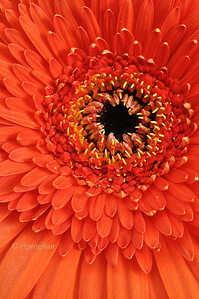 Day 234: Gerbera Daisy - August 25. Happy 'G' Day. Looking forward to viewing all of this weeks alphabet challenge posts. Day 233: New York City Sundown - August 24. 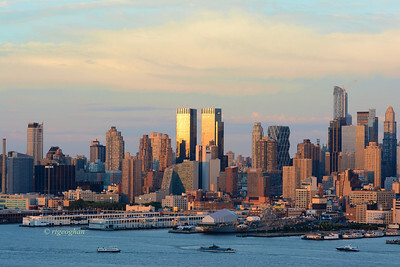 New York skyline at the golden hour. Took photos of the same part of Manhattan at sunrise and at sundown yesterday. The two towers lit by the setting sun are the Time Warner complex located at Columbus Circle, the southwest end of Central Park. The Intrepid Museum is in the foreground. 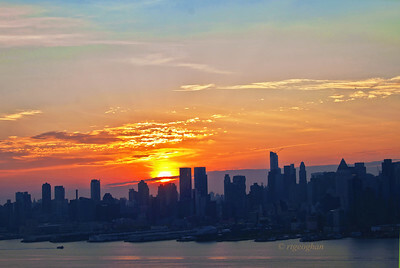 Day 232: New York City Sunrise - August 23. Happy Friday everone. A beautiful sunrise to start the day. 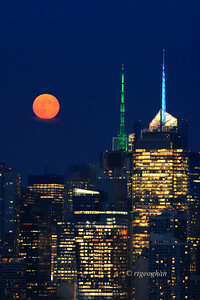 Day 231: Moonrise over Manhattan - August 22. 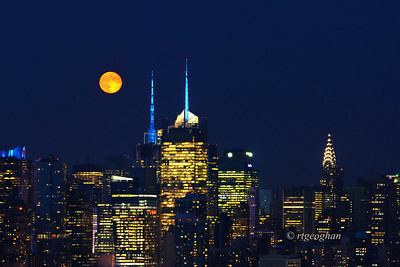 A stunning orange colored moonrise over midtown Manhattan last night. Day 230: Sunflower Closeup - August 21. 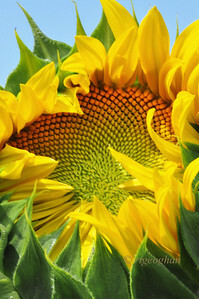 It is sunflower time - my first sunflower photo of the year and looking forward to opportunities for more. 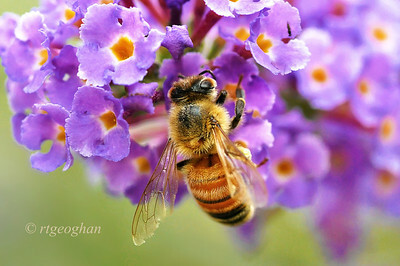 Day 229: Honey Bee on Butterfly Bush - August 20. I've seen a lot of carpenter and bumble bees this summer but this is the first honey bee that I've encountered. Thanks for all of your comments on my Farmer's Market post yesterday. Day 228: Farmer's Market - August 19. 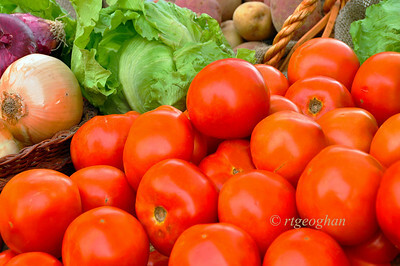 A wonderful summers bounty of produce to select from yesterday at the local Farmer's Market. 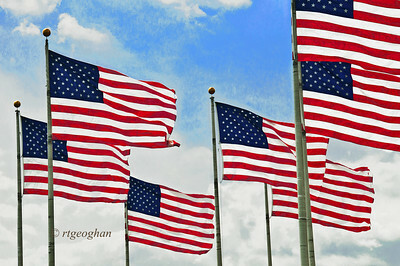 Day 227: American Flags - August 18. Happy Sunday. So many "F" subjects to choose from for today's alphabet challenge post. Family was the first that came to mind for me, but I think that along with Family and Friends, we have a special place in our hearts for the Flag of our various countries and what it symbolizes so that was my choice for today. This photo was shot yesterday at Liberty State Park where there were lots of Families, Friends,Food, Ferries, Furry Friends and Fun things to do on a Fine summer day. Thanks to all who made such nice comments on my butterfly post yesterday. Day 226: Monarch Butterfly - August 17. 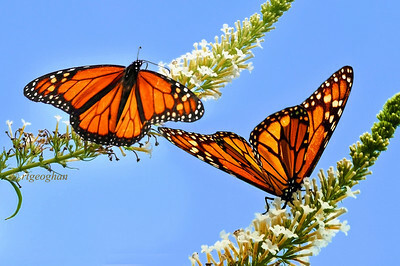 Nothing more enchanting to see than the beautiful orange of a Monarch butterfly set against a deep blue sky. So....I decided to double the pleasure by combining two shots of the same butterfly taken one right after the other as the monarch flitted from one flower to the next. 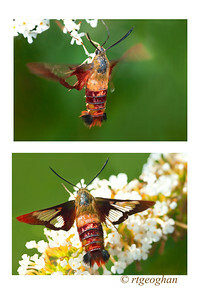 Day 225: Clear-winged Hummingbird Moth - August 16. Pretty much all that I could find around the butterfly bushes yesterday other than bees. It is always a challenge and fun to try to capture these moths. Thanks for all of nice commets on my Central Park image yesterday. I checked very late last night and it looked as though the Daily site was functioning almost normally. Day 224: NYC Central Park - August 15. A delightful long walk in Central Park with my son and his wife and my grandchildren who were visiting from out of state. 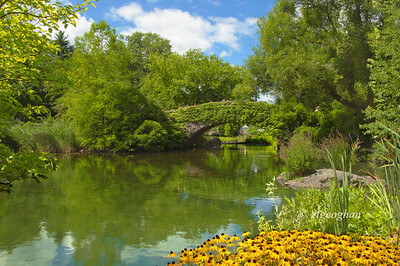 This is Gapstow Bridge and The Pond area of the park. Day 223: Monarch Butterfly - August 14. 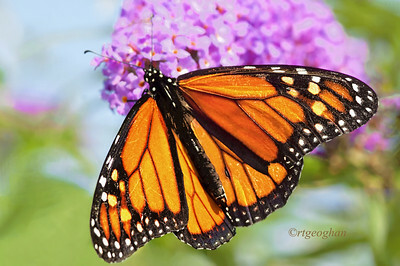 A sighting of a monarch butterfly yesterday - a rare event this summer. Thanks to all who commeted on my post yesterday. Day 222: Yellow Water Lily After the Rain - August 13. 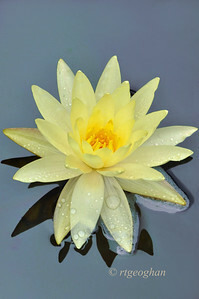 A second post fo today - thought of Art when I saw this lone water lily sitting in a pond yesterday. Water was still and I liked the sharp, contrasty reflections. 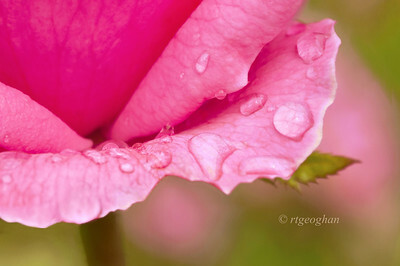 Day 222: Raindrops on Pink Rose - August 13. Day 221: Skipper Butterfly - August 12. 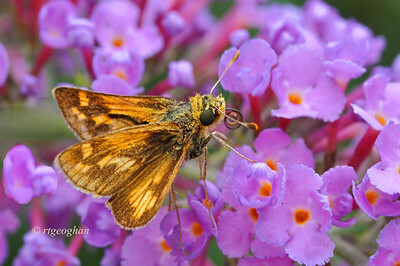 A Peck's Skipper I believe on butterfly bush. He is about the size of a dime.